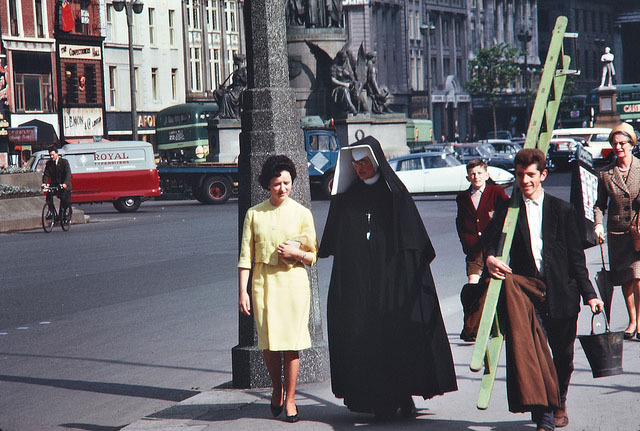 About this one, Flickr notes “this nun was a member of the Daughters of Charity (of St. Vincent de Paul). The distinctive head dress is called a cornette, and led to this order being known as the Butterfly Nuns. 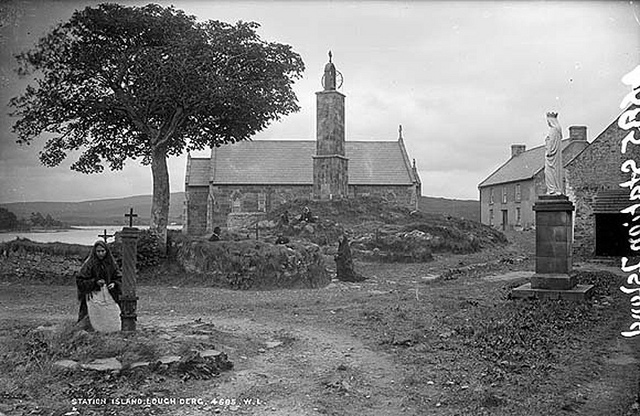 The Daughters of Charity abandoned the cornette on 20 September 1964.” The picture also shows the Parnell Monument in Dublin. 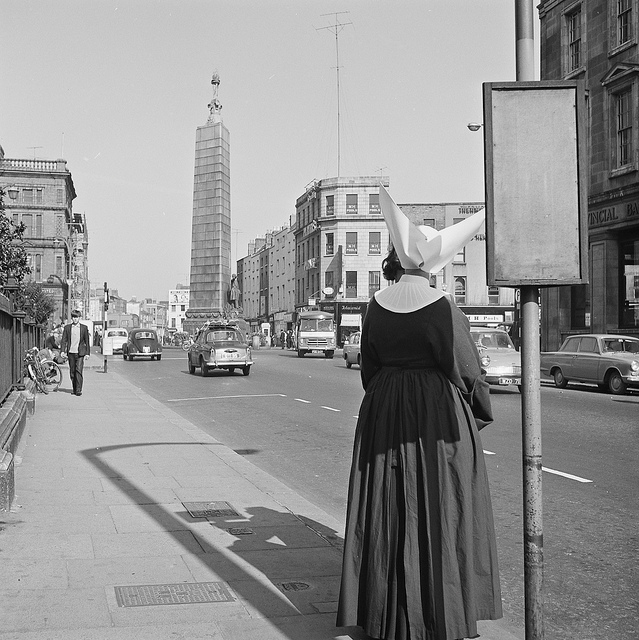 Another nun, by Photographer Richard Tilbrook, on O’Connell Street, Dublin in 1964. 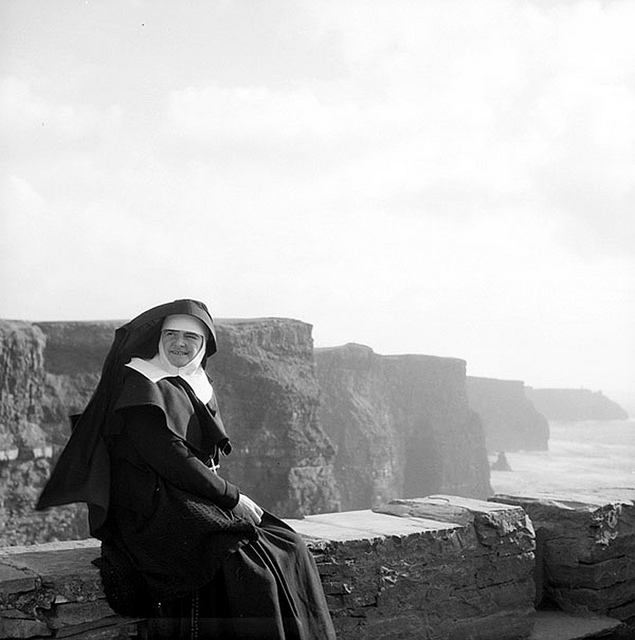 This one is on Ireland’s west coast at the Cliffs of Moher, 1962. 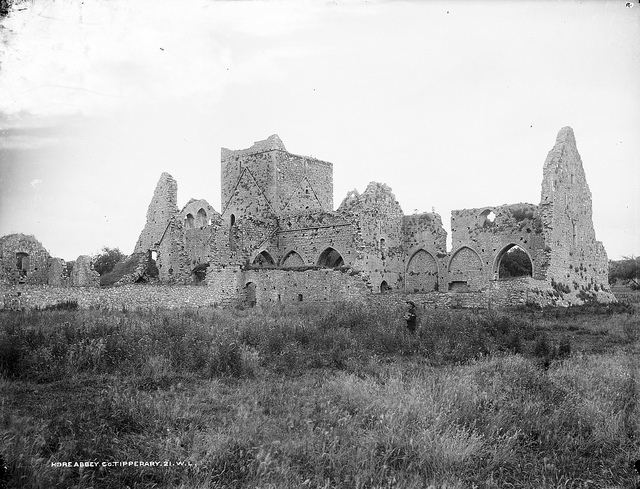 The next few pictures are from the “Built Heritage” set. 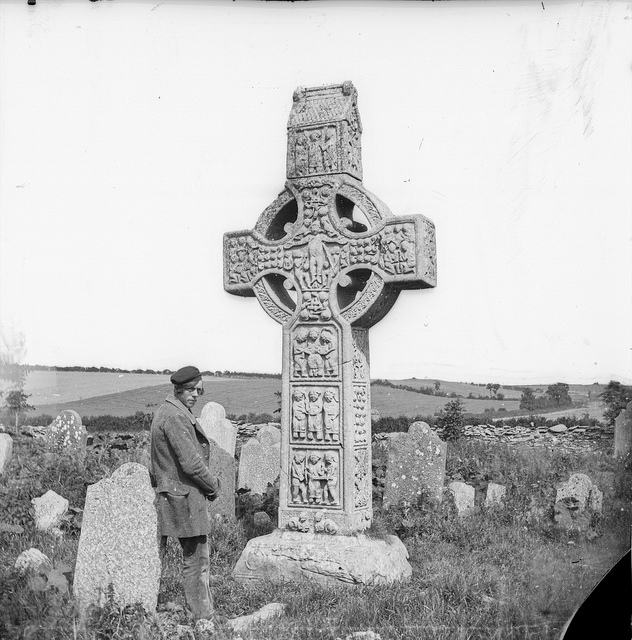 The 9th/10th century high cross at Monasterboice , Co. Louth.